After experiencing so many flare ups recently, I decided to visit a dietitian to go over FODMAP and get their recommendations. When I initially started the FODMAP diet, it was under the guidance of my GI, who was helpful in getting the diet started, but I felt I needed more guidance in reincorporating food. I figured a dietitian could give more specific advice and be more available than a GI. The dietitian’s first recommendation was to complete the FODMAP elimination again, for 2 weeks. Sigh. I am a little disappointed by this, but 2 weeks is better than the first go-around, which was 8 weeks! In preparation to start the full diet again (starting January 5), I decided to make a few things ahead of time, so that way if cravings strike, I’m ready!! 1. Mix together the wet ingredients and mashed banana, beating well until the eggs are beaten and slightly foamy. 3. Heat a skillet over medium high heat or use a griddle. Mix the batter again, then begin making your pancakes. 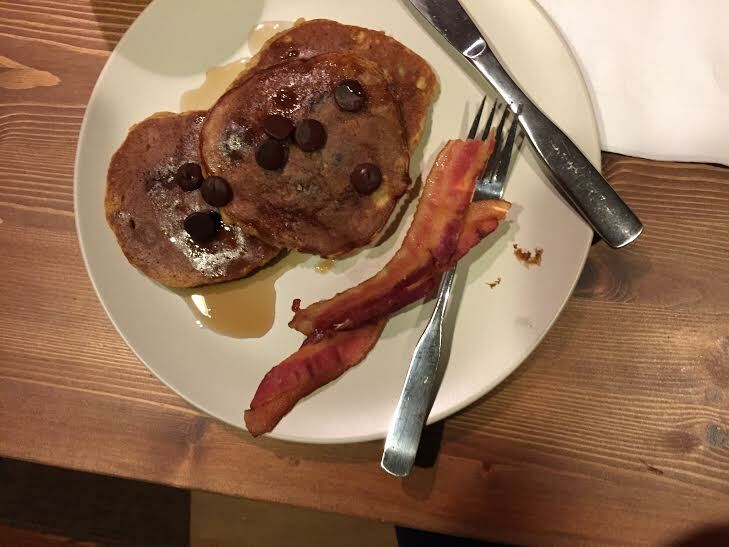 I like to put mashed banana in gluten-free pancakes, because it makes them moister. I ate several pancakes and then froze the rest for breakfast at another time. 2. Whisk together flour, baking powder, and salt into a bowl. 7. 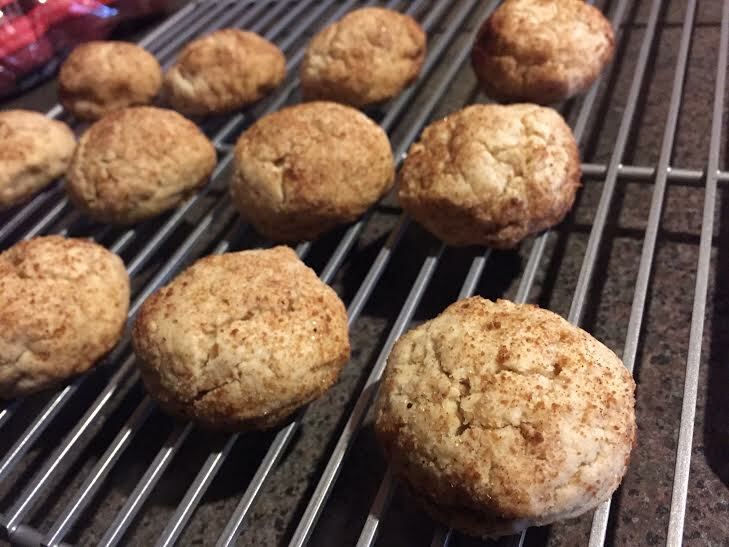 Roll in cinnamon sugar and place on baking sheets lined with parchment about 1½ inches apart from one another. 8. Bake the cookies, rotating sheets halfway through, until edges are golden, 12-15 minutes. 9. Let cool on the sheet pans for about 7 minutes, then move to wire racks. Notes: Gluten free flour can dry up quickly, so use as many cookie sheets as you can to prevent drying time between cooking. My mix became too dry to use by the last batch, so I couldn’t make all the cookies! You can freeze these cookies for up to 1 month. In my experience, all gluten free baked goods should be frozen in order to maintain texture of the product. Wish me luck on this next elimination! Would love to hear how it goes. Im 4 weeks in on my “what-feels-countless” attempt due to mini flares. Havent seen a dietician yet and after reading this, considering doing my last few weeks under their guidance or at least keeping a strict diary to produce as needed, not just consult one for the reintegration. Good luck and I’m sure you’ll find this one easier since you’ll slip straight back into the rules you perfected! You’ve got this!